I learned quite a bit from this book. The brain is even more amazing than I had ever imagined. Mr. Kaku explores the intricacies of the different areas of the brain, how memories are stored, how the eyes work with the brain to allow us to see a seamless picture of the world, and so many other things that I didn’t know about. He discusses dreams, and how the mind uses sleep. He talks about telekinesis, and how the mind can make artificial limbs move. Mr. Kaku then goes on to postulate different possibilities for the future of the human mind. He explores different methods to capture the whole of a human’s mind, and store it, or transfer it to computer memory, or maybe even a light-beam. He says that a laser may be able to transfer the mind to the body of an avatar on a distant planet, at the speed of light. That way we wouldn’t have to travel great distances in a slow rocket. He also talks about the alien mind. How we might be different, so different that we could come in contact and never even know. He compares our minds to alien minds, like how we see insects, or other animals in comparison to ourselves. This was a very interesting science book. Mr. Kaku never talks down to you. He doesn’t use a lot of scientific jargon. Everything is understandable, without feeling like a grade school science book. There is a lot of meat to this book. He brought up some ideas that seemed to be prefect science fiction plots. I will have to keep them in mind and see who uses them first. This was a very well written, and entertaining scientific look at the human mind. I give The Future of the Mind 4 1/2 Stars out of 5 and A Big Thumbs Up. I recommend it to anyone who ever wondered what goes on inside their skull, how it all works so well, or maybe so badly. The Future of the Mind gives us an authoritative and compelling look at the astonishing research being done in top laboratories around the world—all based on the latest advancements in neuroscience and physics. One day we might have a “smart pill” that can enhance our cognition; be able to upload our brain to a computer, neuron for neuron; send thoughts and emotions around the world on a “brain-net”; control computers and robots with our mind; push the very limits of immortality; and perhaps even send our consciousness across the universe. Dr. Kaku takes us on a grand tour of what the future might hold, giving us not only a solid sense of how the brain functions but also how these technologies will change our daily lives. He even presents a radically new way to think about “consciousness” and applies it to provide fresh insight into mental illness, artificial intelligence and alien consciousness. 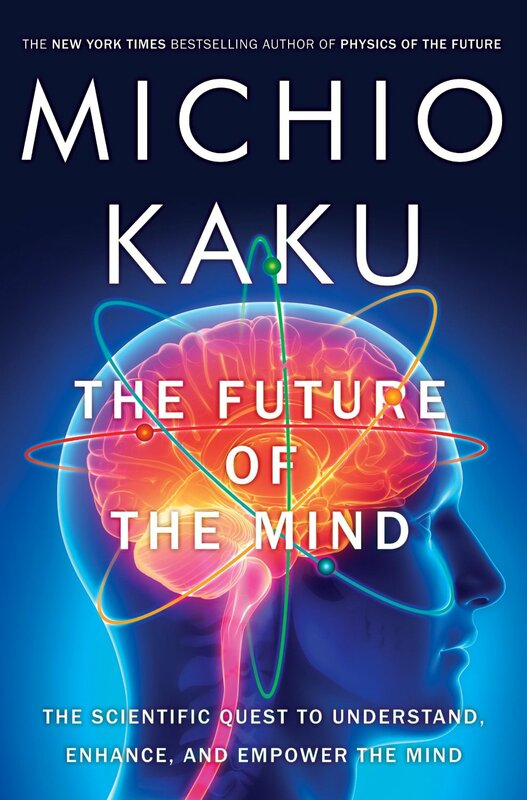 With Dr. Kaku’s deep understanding of modern science and keen eye for future developments, The Future of the Mind is a scientific tour de force–an extraordinary, mind-boggling exploration of the frontiers of neuroscience. MICHIO KAKU is a professor of physics at the City University of New York, co-founder of string field theory, and the author of several widely acclaimed science books, including Hyperspace, Beyond Einstein, Physics of the Impossible, and Physics of the Future.